If you have a 2009 (or later) MacBook or MacBook Pro this is the model you need. After contacting newmodeus they have confirmed you need this model and not the older "OBHD9-SATA-SATA-B". They have also stated this on their Facebook page. The price is the same and the only difference is that this "NF" model (short for "no faceplate") does not have the black faceplate the other model does (see its picture). This saves you from having to remove the faceplate to fit the bay inside your MacBook. 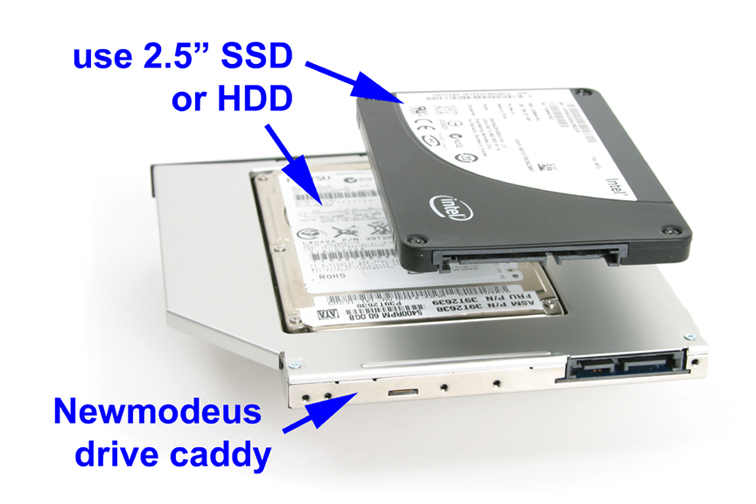 If you have a 2009 (or later) MacBook you need to buy this newer "OBHD9-SATA-SATA-NF" model.